Trial by Fire seems to have some issues. 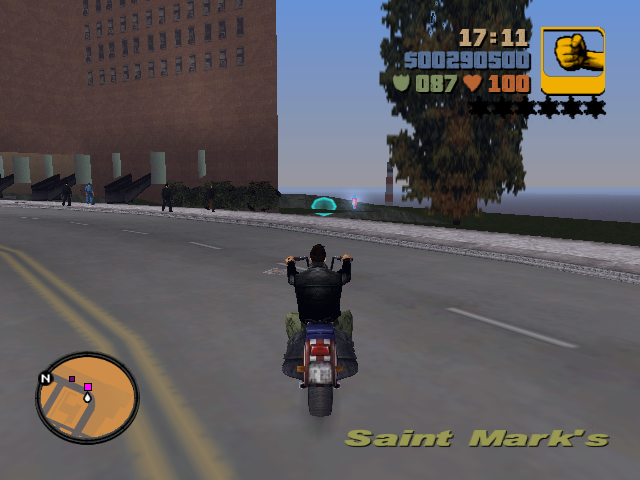 I tried completing the mission 6 times and it's way too difficult compared to GTA III. Atleast 4 to 6 triads remained while I failed the mission everyone. It's really difficult to spot 25 triads or I don't see 25 triads spawning during the mission. Could you maybe increase the density? 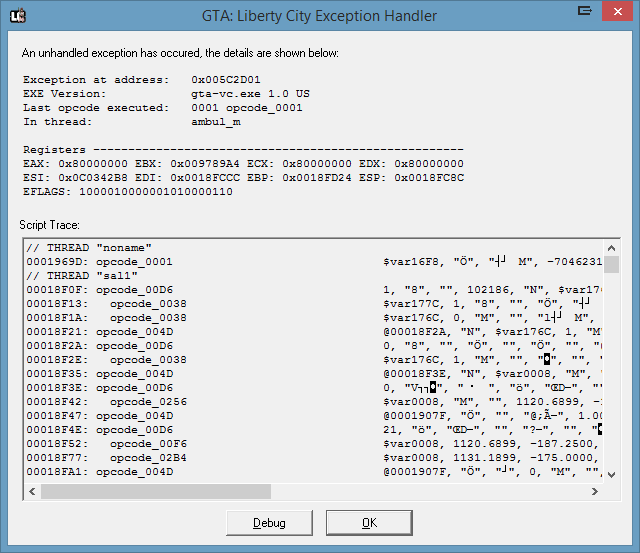 If the same opcodes are used as GTA III, then the gameplay was much easier on III Engine. Remove the traffic asi from the main directory. Just curious what the file has to do with it. It's there for LC to work I believe? It's supposed to increase ped/traffic density but IIRC it does the opposite in LC. It causes the Triads to spawn everywhere. Although I did pass the missions, Triads spawn in the Leones and Diablo turf as well. Hopefully this can be fixed in final release. Had to put the file back. Edit: In the Mission Cutting the Grass, Curly Bob runs aboard the Cartel Ship when he should be running towards the dock exit. Edit 2: The Pager Import/Export Garage in Portland pops up after the Mission Chaperone when it displayed a few missions back, AFAIK. Correct me if I'm wrong. In Cutting the Grass, Curly Bob will always run away from you if you are too far from him. He has no set destination. How did you approach him? The I/E garage pager message should only be displayed after Chaperone, not before. Do you remember after what other mission showed it? Re-did the Mission and this time it worked fine. Maintained the same distance and positions as the last time though. Edit: Triggered the Checkpoint Mission (Alleys & Angels) with the Angel parked near 8-Ball's Autoyard. Ran out of out time but the mission doesn't fail and the checkpoints and blips still remain on radar for some reason. I was still able to complete the mission even with the time running out. Going to test all the side missions in Portland and complete them before moving on to Sayonara Salvatore. EDIT3: Sayonara Salvatore works perfectly compared to the older betas. Important! Delete vcopcode.asi and IIItoVC.asi if they exist! Ped speech delays have been converted (thanks Nick007J). It is recommended that you use the Ped Speech Patch by Sergeanur. Bike checkpoint missions now fail when the time runs out (thanks Arrow). Debug mode: Sprinting forward while looking behind will no longer spawn the debug vehicles (was annoying me a lot when it happened). All blips created during Kingdom Come are removed when the mission ends. There was a chance where a blip doesn't get removed by the game, which is a bug in the script that also appears in III. Replays FINALLY work! 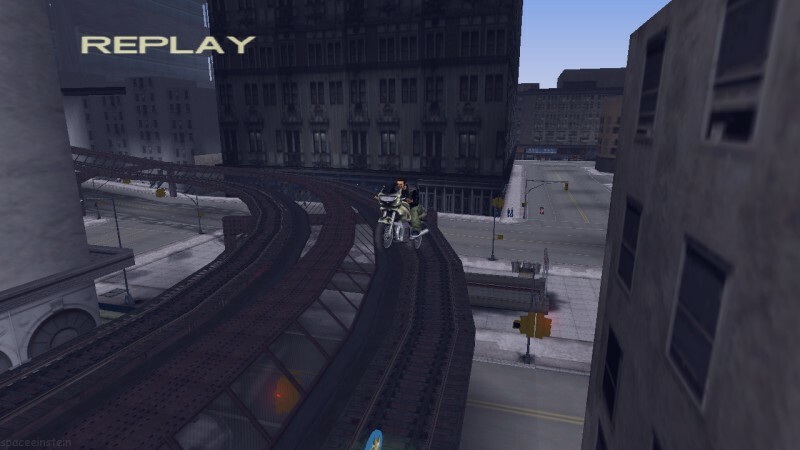 The game had been disabling replays because script paths are being actively used by the trains. Thanks a lot for the fixes @spaceeinstein. Will test the new script and report bugs when possible. Is there any available fix for the traffic issues caused by vc_traffic.asi? EDIT: Installed the last 3 updates on previous page, step by step and manually added and removed the necessary image files. Did the manual SFX Update as well. No audio issues so far. 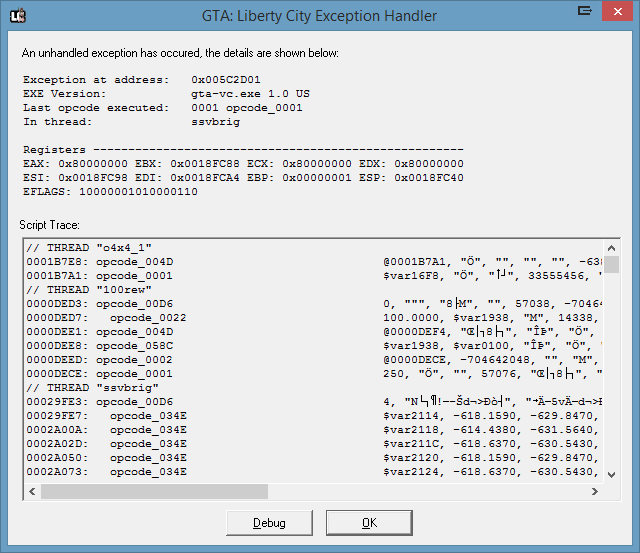 Also, added the new codes under MISC on gtalcscm.ini. Everything works so far. No graphical issues as well after deleting IIItoVC. EDIT2: The Triads keep appearing in Red Light District and Saint Marks for some reason. There 2 turfs are supposed to be for the LFM. Any idea how this can be fixed? Gang members aren't strictly confined to a gang turf. They spawn within a certain radius around the player, even if the location is outside its gang turf. This happens in both GTA III and Vice City (and probably SA). See the bottom of the first post for debug information. Haha. Just noticed. Thanks @spaceeinstein. Completely missed that part. Will now focus on DEBUG Script instead. I noticed several changes. Also, what are the new key presses for Spawning the Debug vehicles? Also, when starting a new game the Pager Pops up above the Delorean messages. Think you could change the timing between those GXT Strings? The time circuits don't actually allow time to be set. Noticed the time travel effect and animation both in driving & flying mode. It'd be nice to add a Speedometer to see how fast the vehicle's driving. Delorean can time travel once one. After that, you ditch it and spawn another one. Correct me if I'm wrong on these. And you might want to change this to 8-Ball in first post. Thanks for editing that again. Unless something changed in the past few versions, you only need to reset the time circuits for time travel, no need to spawn another DeLorean..
And how do I set the time circuits? I don't see any time circuits after enabling the Time Travel Mode. The time is randomly chosen in this script as the clock really doesn't mean anything in this game (the weather is also set randomly too). My goal was to simplify the code from the BTTF: Hill Valley mod so it only has the major features (flying/time travel). They have done a LOT more with that. At one time I had the speedometer included, but I didn't like the way it looked. Plus the effects give you a warning that you're approaching 88 mph so I didn't think it was necessary. There is a button to activate the time circuits. I believe it is the same button that you'd use to trigger the vigilante/fire/paramedic/taxi missions. A text box should appear (as well as a sound playing) when the circuits are turned off. They are automatically toggled off when you travel in time. But you can simply turn them back on. This information should be shown on the screen the first time you enter a DeLorean. Thanks for the clarification. I did notice the information the first time I entered it. Also, what's the new key press for Spawning Delorean and General Lee? Since we're having a Debug script already, I would like to add something I've had done a while ago. While it's somewhat similar to what GTA LC uses, mine just does open the Missions from the start. Also, what's the new key press for Spawning Delorean and General Lee? Edit: As I was playing Bling-Bling Scramble, I noticed a bug that I've seen before but we've never figured out. The pause map looked like this as the cars were approaching the checkpoint. The dark blips are used with opcode 0186 and the light marker uses 018A. Does anyone know why the 0186 blips would be off on the x axis and the other ones are not? I've noticed this bug in other missions, but have not seen it where some blips were correct while others were off. Just wondering, is the debug mode a separate SCM or is it part of the normal one? It's been awhile since I've dabbled with LC. The launcher uses a separate scm called DBUG.scm to run the Debug mode. It's located in data folder. Interesting. I added the code earlier. I thought it only switched scms. I never thought this was possible. I guess we can get rid of that scm file after all. Hopefully the ini settings can be toggled using the launcher at some point of time. @Craig, the latest version of the Widescreen Fix should solve any issues with blips being misaligned. @Gravarty, are you certain you installed all the necessary updates correctly? Your first error occurs usually because the game is trying to play an animation improperly. Your second error occurs usually because a dynamic object is misbehaving. I've had these errors before and made sure they were all fixed. Important! Delete vcopcode.asi and IIItoVC.asi if they exist! Download the latest sound effects files here! Opcode 041C along with the Ped Speech Patch should work just like III now, with the exception of the SWAT speech. This means the Ammu-Nation workers' speeches no longer need the additional wav files. Fixed car paths going over the bridge in east Staunton (thanks Nick007J). spaceeinstein, is 100% reachable currently? I glanced through the code, and I see that there are 158 total mission points, whereas in original III there are 154. 3 bike missions give 1 point each and I didn't find where that additional point would be. Probably it should have been crane reward as it requires 8 vehicles now? it still gives 7 mission points, not 8. 76 missions + 32 I/E + 20 USJ + 1 rampage + 7 crane + 10 package + 3 paramedic + 1 taxi driver + 6 vigilante + 1 firefighter give 157. Or did I miss something? You're right, I forgot to include a point for the police Cheetah when I converted the military crane script. @Gravarty, are you certain you installed all the necessary updates correctly? Yes, everything is correctly installed. 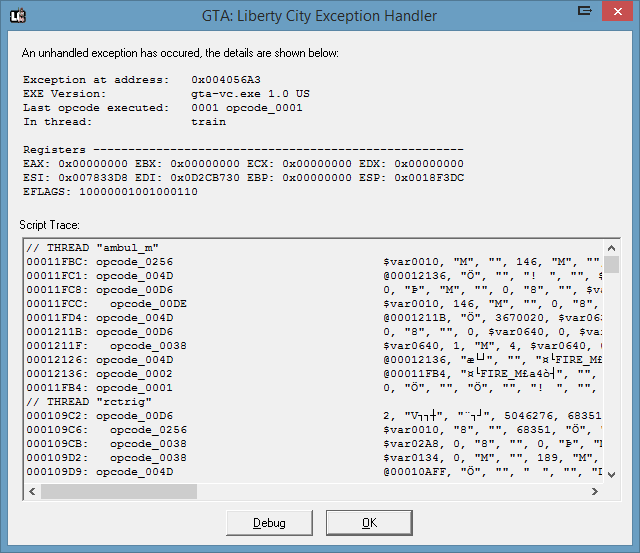 I also rebuild GTA3.IMG after replacing the files. Nope, kinda useless for LC since i'm not going to install any other mods. That's the coolest issue I've seen in a while! Can anyone replicate the issue? It seems clear that your installation had gone wrong. I'm going to spend some time learning how to make an installer so that I can create a Beta 3.4-prerelease. That way anyone can install the mod without problems.